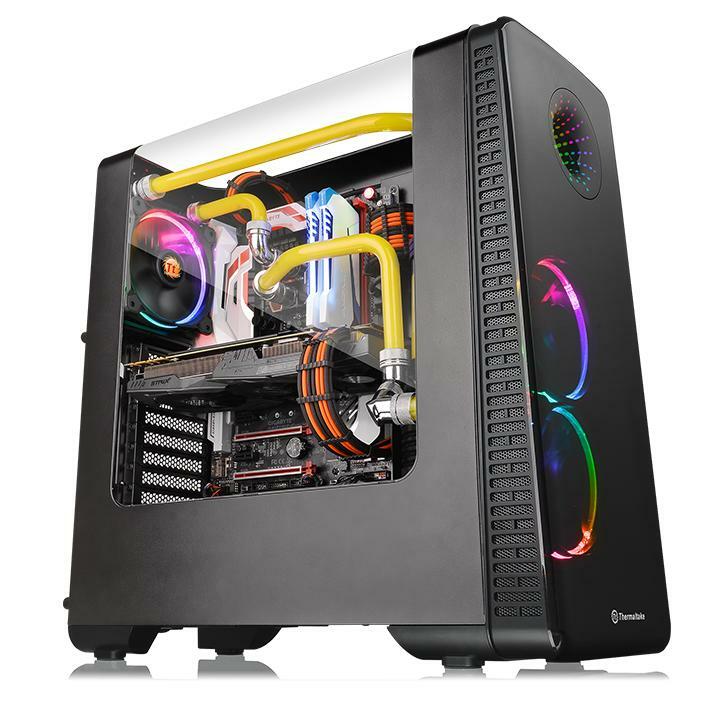 The View 28 RGB Mid-Tower Chassis features a transparent gull-wing window, advanced floating GPU mounting system with an optional PCI-e riser cable, and a built-in power supply cover for clean cable management. The tinted front panel with a controllable 256-color RGB LEDs matrix gives users a clean look whilst adding incredibly stunning visual perspective to the system. The View 28 RGB supports all high-end PC hardware, graphic cards, and air/liquid cooling solutions. 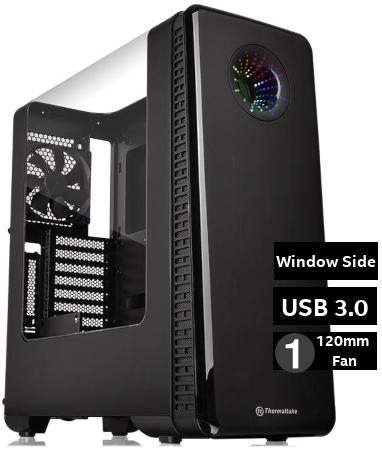 Build your ultimate PC chassis with the Thermaltake View 28 RGB Riing Edition. The View 28 RGB Riing Edition brightens up your system in a brand-new way with its seemingly endless number of 256-color LEDs – the RGB Matrix on the front panel. Inspired by a spiral galaxy, the RGB Matrix illuminates from the darkness, and colors your build with vivid lighting effects, including static color (red/blue/white/green), RGB spectrum and RGB breathing.